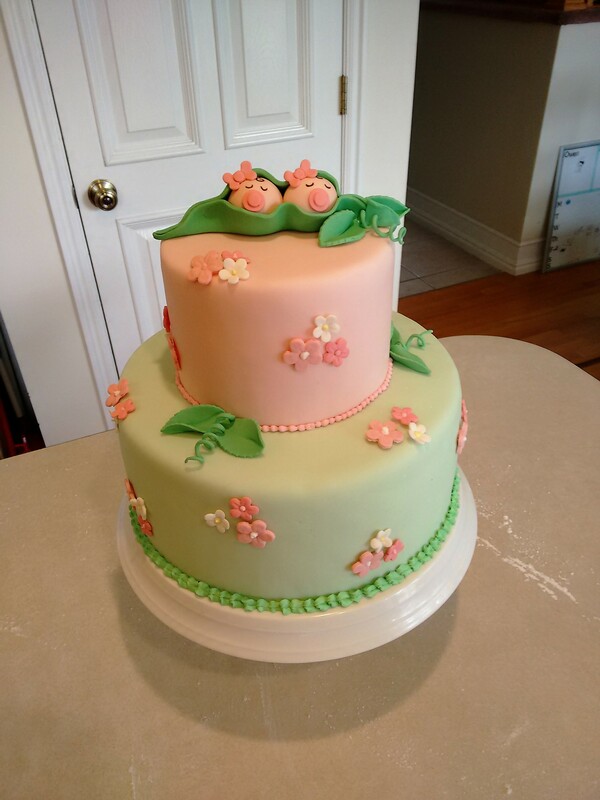 Last year I was able to do a few cakes before my shoulder forced me to take a hiatus from baking. 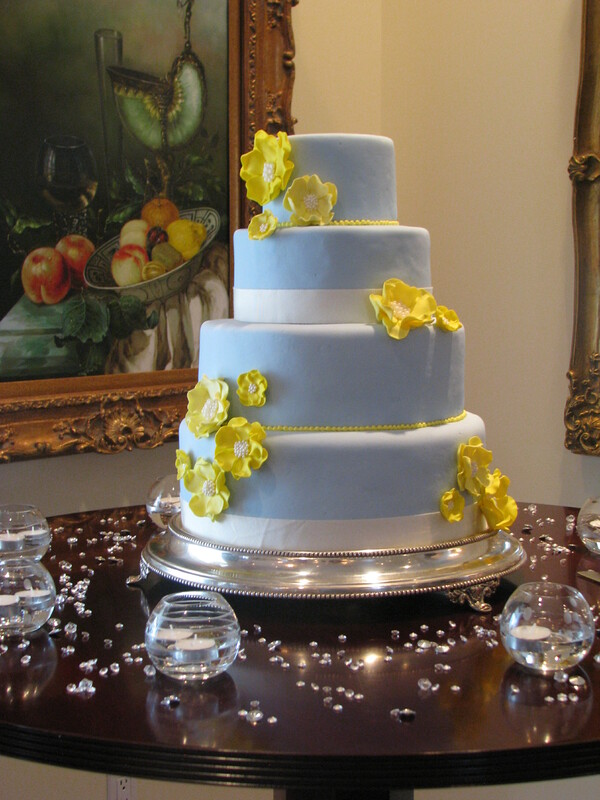 Each cake was fun to make and definitely had its own personality, just like the brides and grooms they were made for. 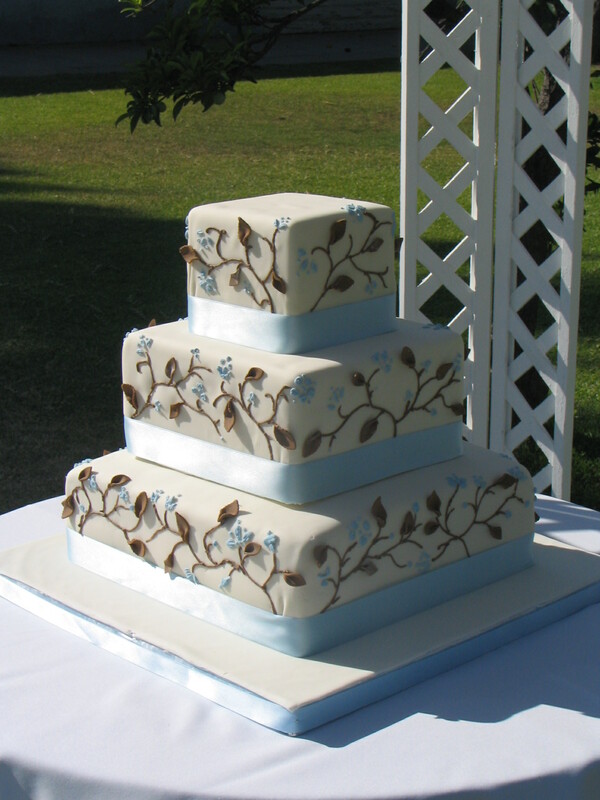 This first cake was meant for an outside wedding that was moved last minute due to weather. The reception look fabulous, very fun and fresh. 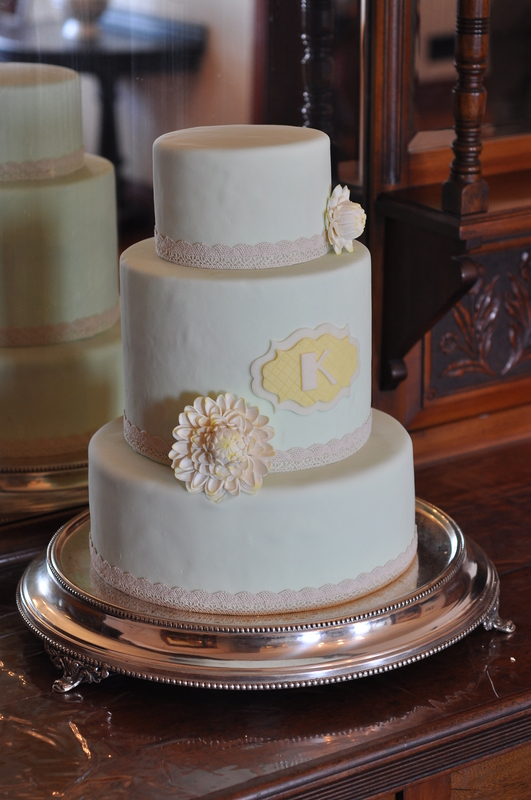 The second cake was a quick order from a friend whose brother was marrying his sweet heart in a simple ceremony. The bride chose the vibrant colors of purple and orange. I was given fairly free range as far as design went. I tried for a subtle tropical feel that was still very clean and contemporary. And this last one, might be my favorite of the bunch. 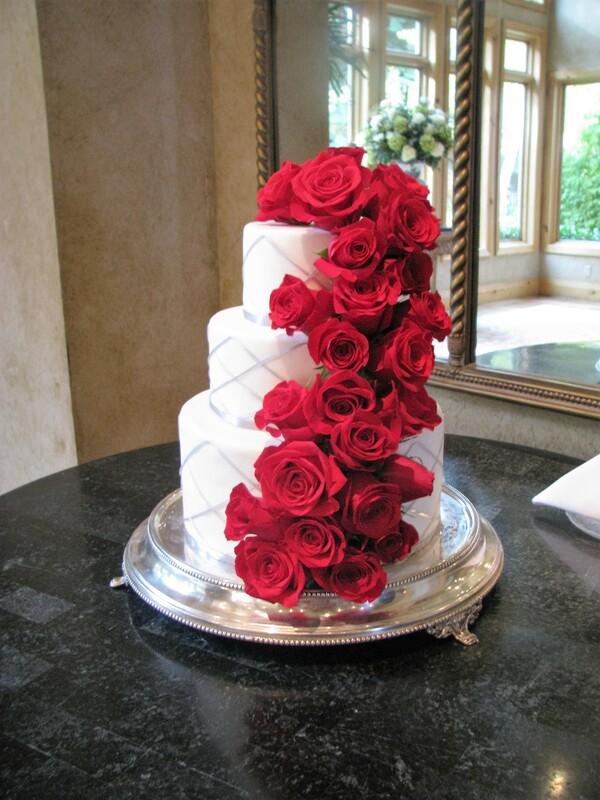 When I think “wedding cake” this is what I think of. Traditional, feminine, with sumptuous floral accents. 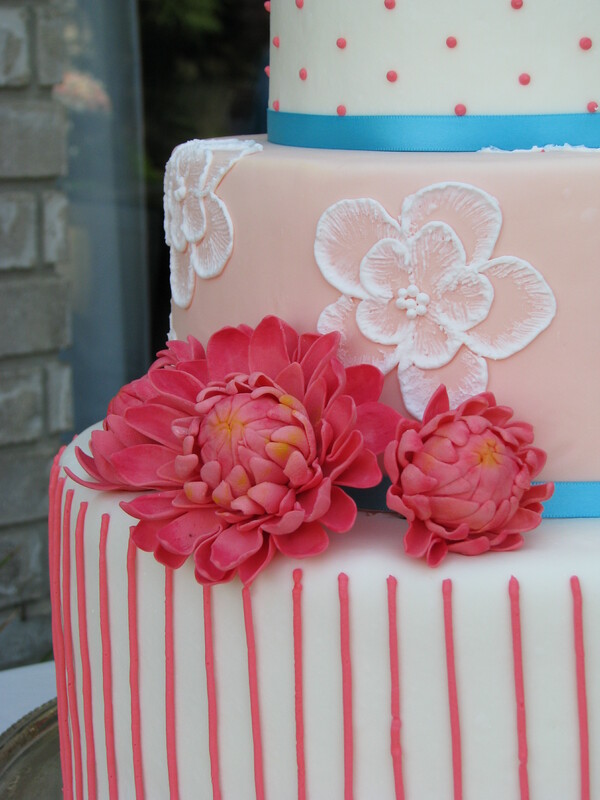 It makes me want to get back to baking! This reception was lovely, it was held downtown in a rooftop garden with amazing views. 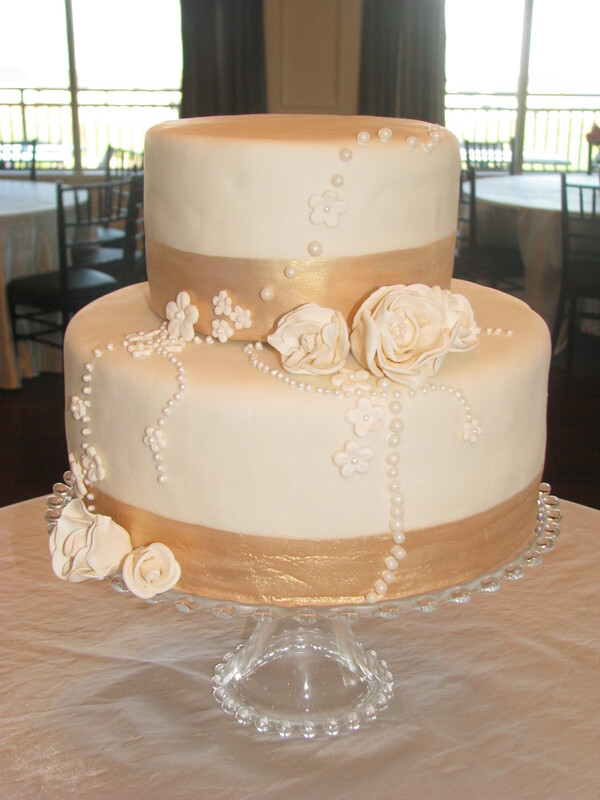 Also debuted was my handmade ivory cake stand. 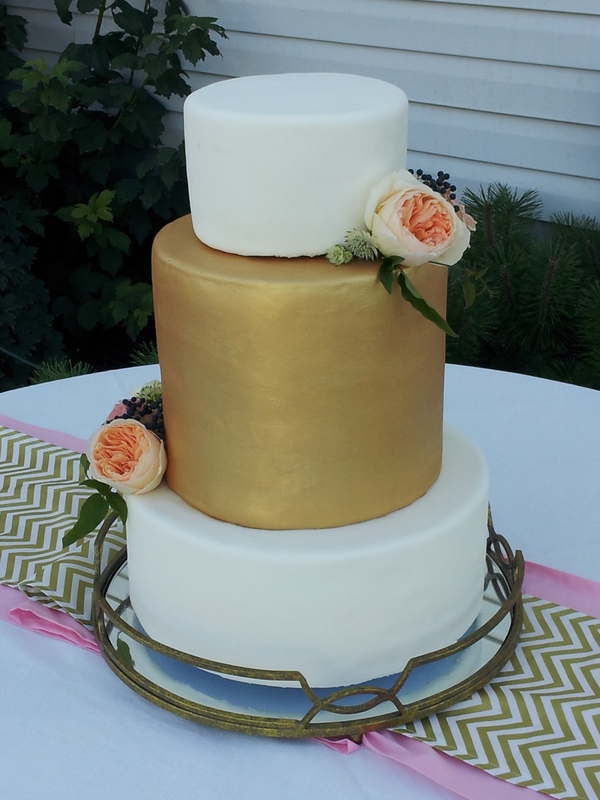 With gold accents being more on trend lately I needed something more neutral than my silver cake plateau. I was pleased with how it came out, and it is nice to be able to provide another option to my clients. 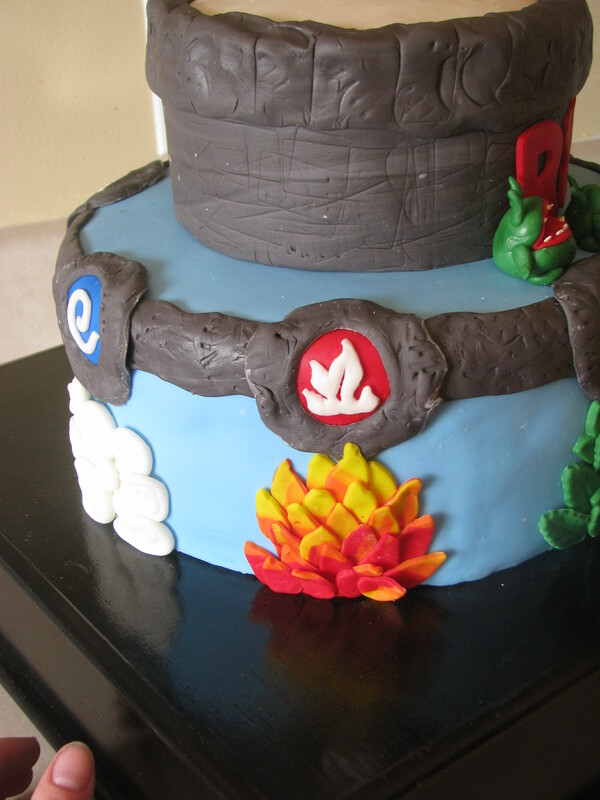 It’s been months since making this cake. It was for a dear friend from California who had also relocated to Utah. 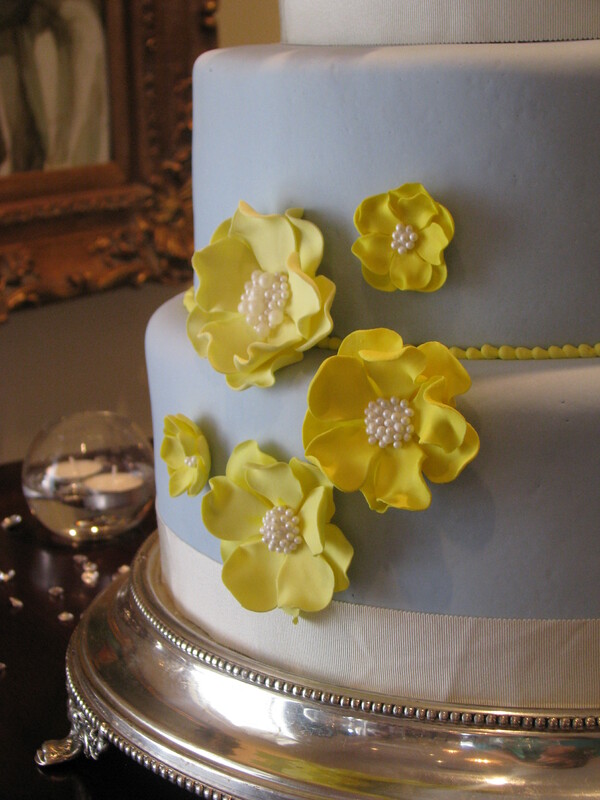 I loved the design she came up with, cheerful yet still elegant. 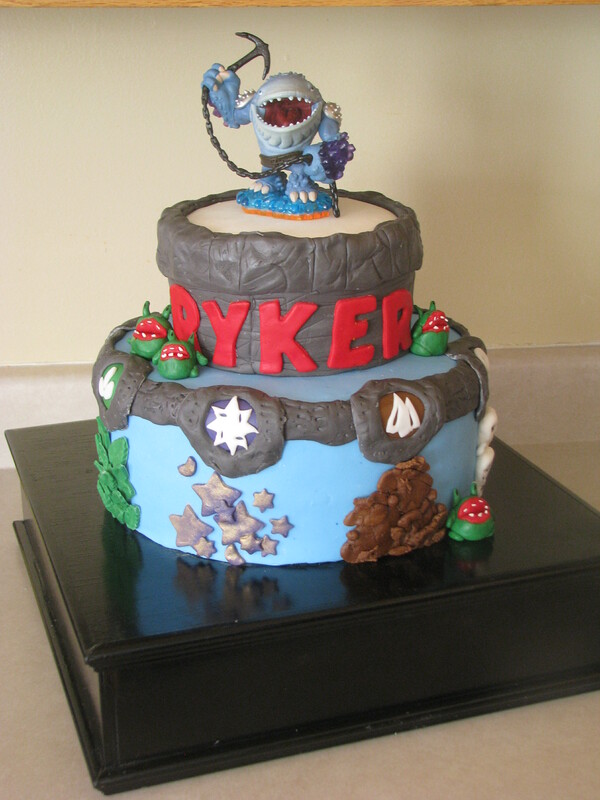 The cake itself was devil’s food with fresh berries and chocolate fudge filling. 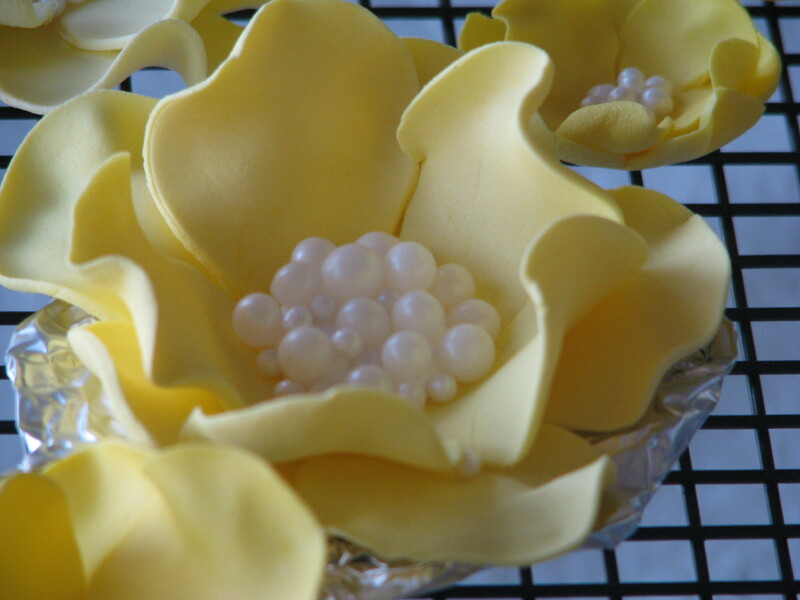 There is something so fun about making flowers that are more fantasy than a strictly botanical recreation. Just thinking about it makes me want make some to have on hand. Here is the beautiful bride and her groom. Their reception was so fun, and full of beautiful moments. Best Wishes!! 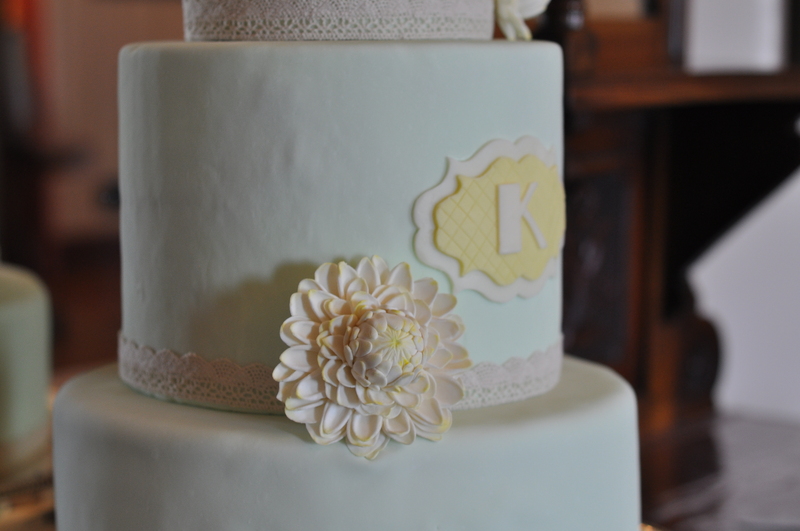 One of my favorite things about making wedding cakes is when I get repeat orders from families. 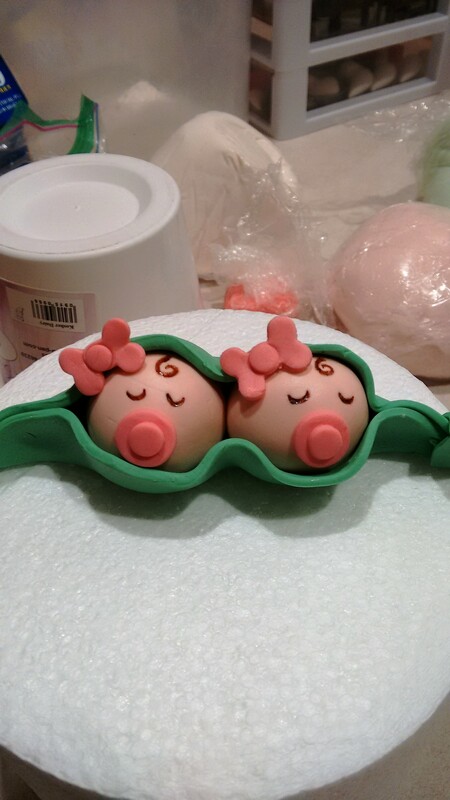 These cakes were actually a few years apart, but I realized that I hadn’t posted the first one before. 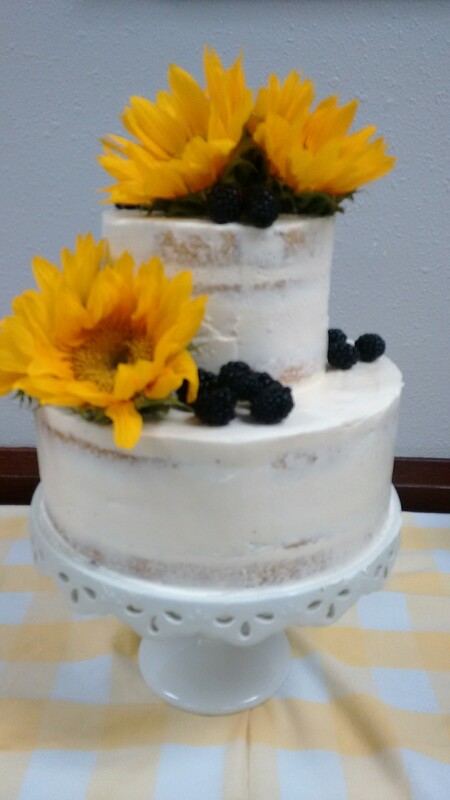 It was for a friend’s son and his bride. 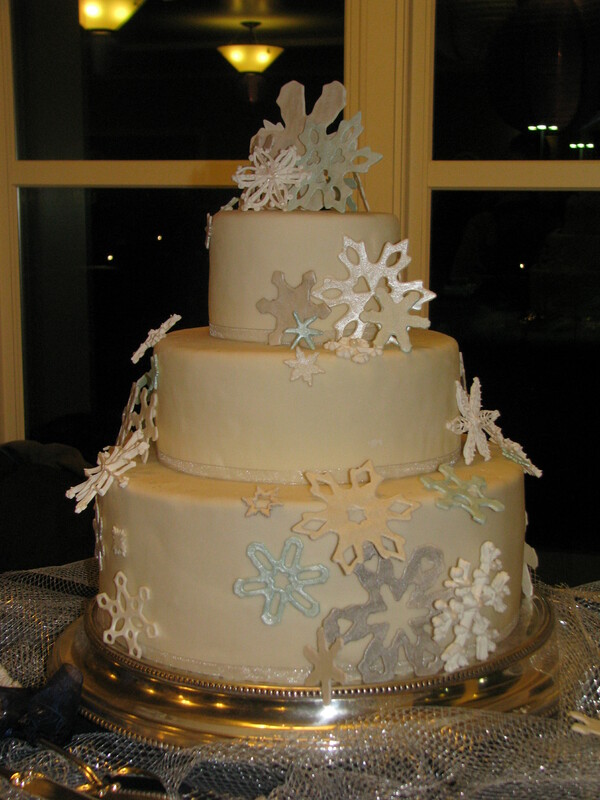 It’s been long enough ago that I don’t remember the flavors of the cake, but I do remember making all the different snowflakes and having a lot of fun doing it. The picture isn’t fabulous, I really should take a photography class, but this is the best I got. 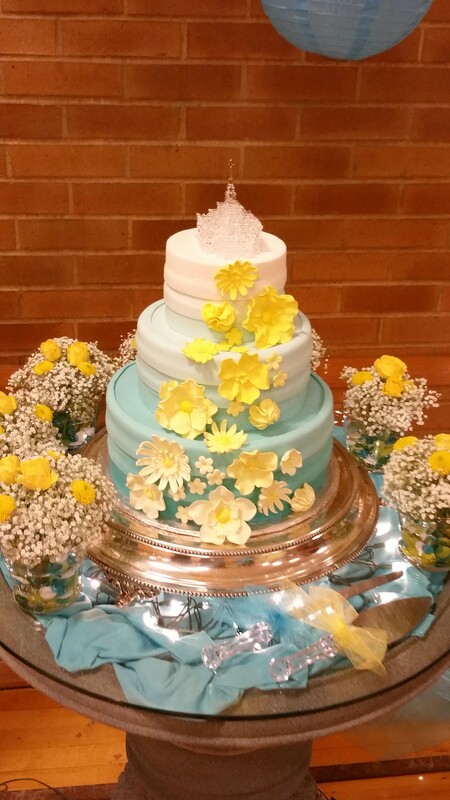 The snowflakes were a mix of royal icing and gum paste painted with silver and ice blue luster dust. About a year and a half later I got a call that one of the brides’ younger sisters (she has three) was getting married and having a summer wedding. It was actually held in a backyard in my neighborhood. The cake was devils food with mint chocolate ganache. 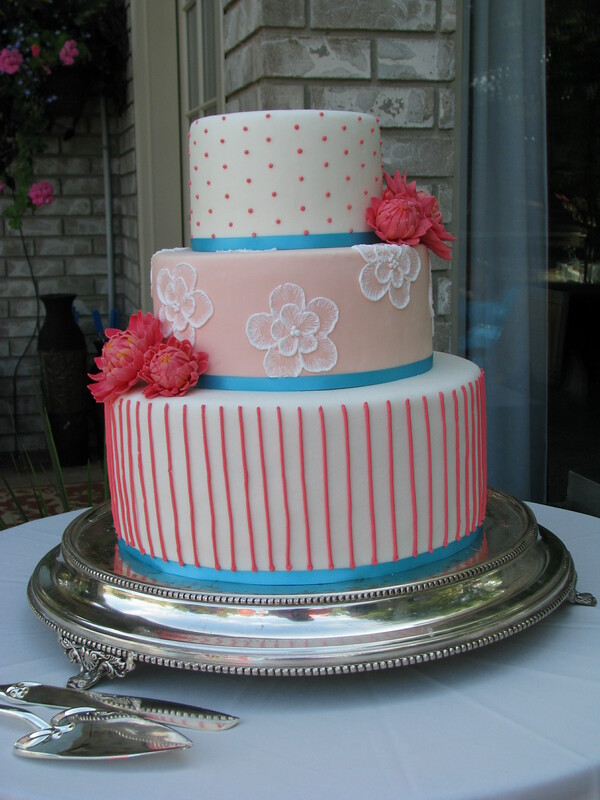 The top tier was fondant with piped royal icing coral polka dots, then a tier of light peach fondant with white brush embroidery flowers, and the bottom was white with more coral royal icing, this time in stripes. 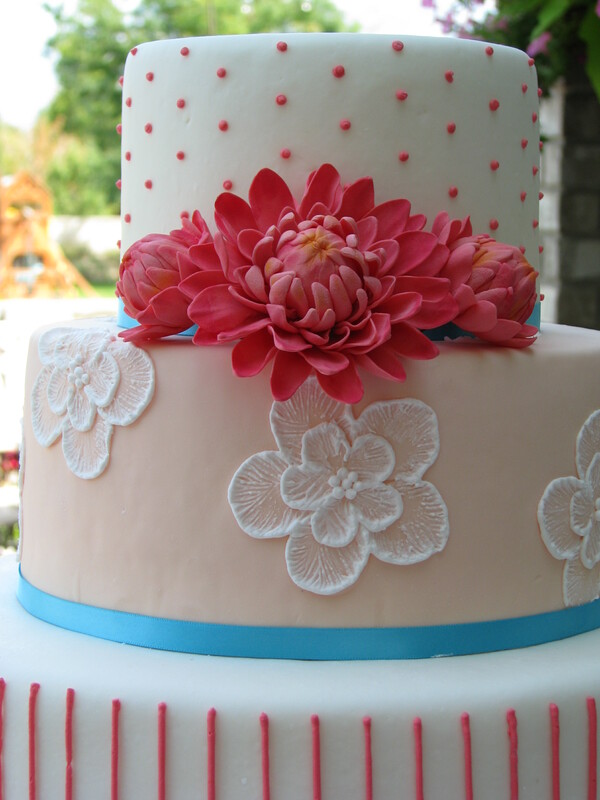 I loved the opportunity to use so many techniques, but my favorite part of the cake were the gum paste dahlias. 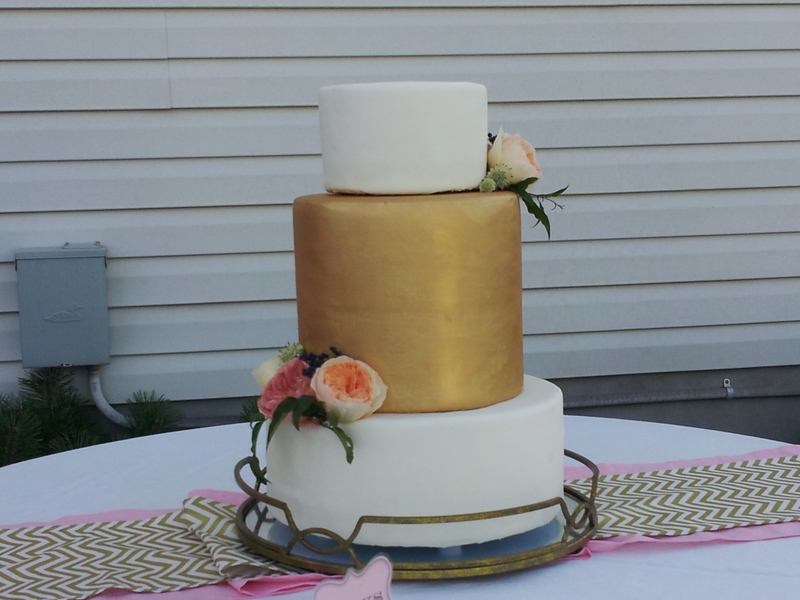 I was very happy with how they came out, and the colors were perfect with the outdoor setting. Boots and a belt buckle. 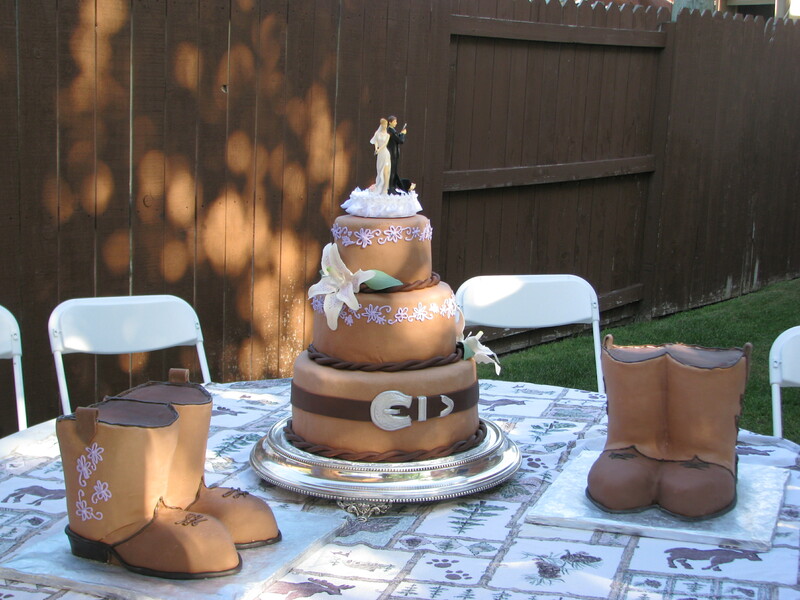 Over a year ago I received a phone call from a mother of a bride who was searching for a baker willing to do a sculpted cake, specifically two pairs of cowboy boots. 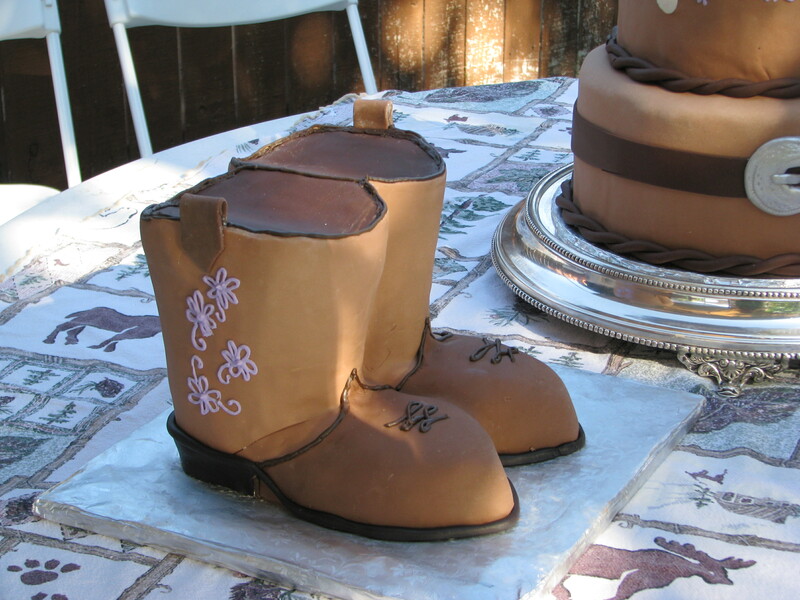 And a wedding cake with a belt buckle. What a fun order! I ‘d tell you what flavors they were, but its been so long I can’t remember. 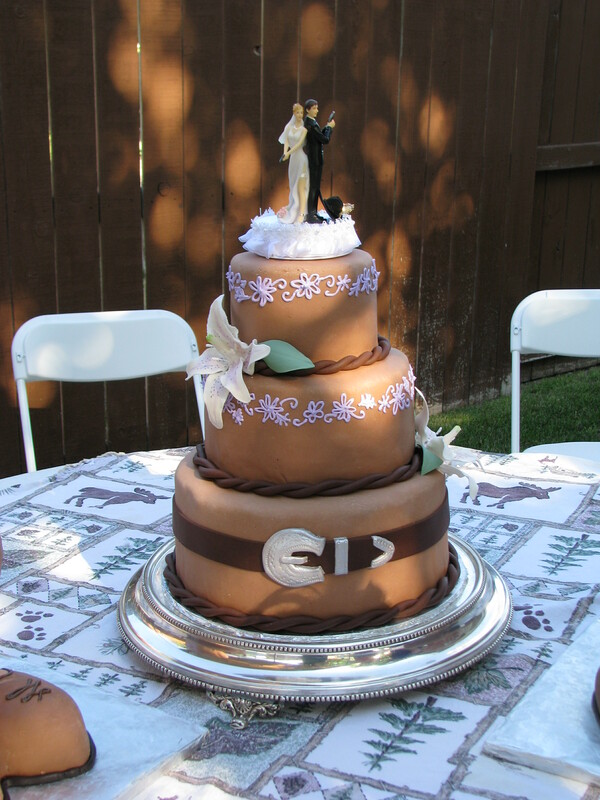 My first wedding cake wearing a belt buckle, notice the gun toting bride and groom. This was a fun one. 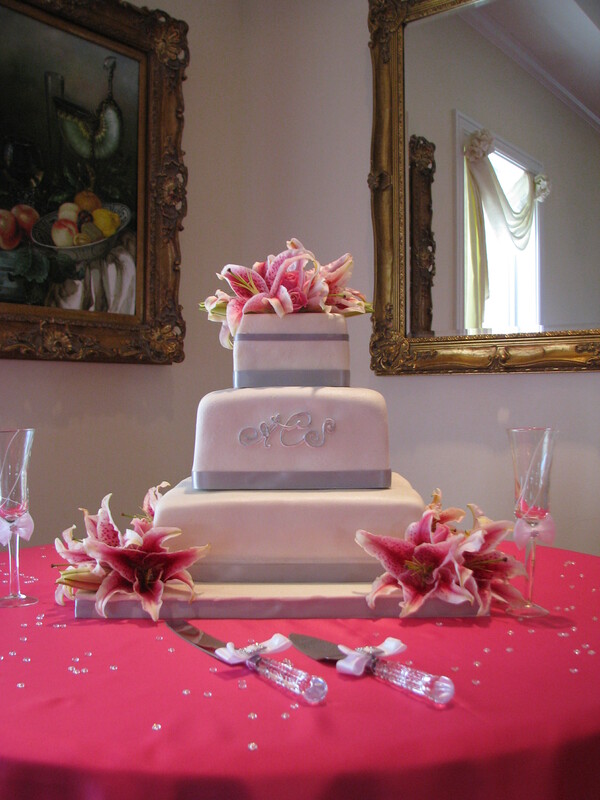 The bride wanted a very simple wedding cake and placed her order. 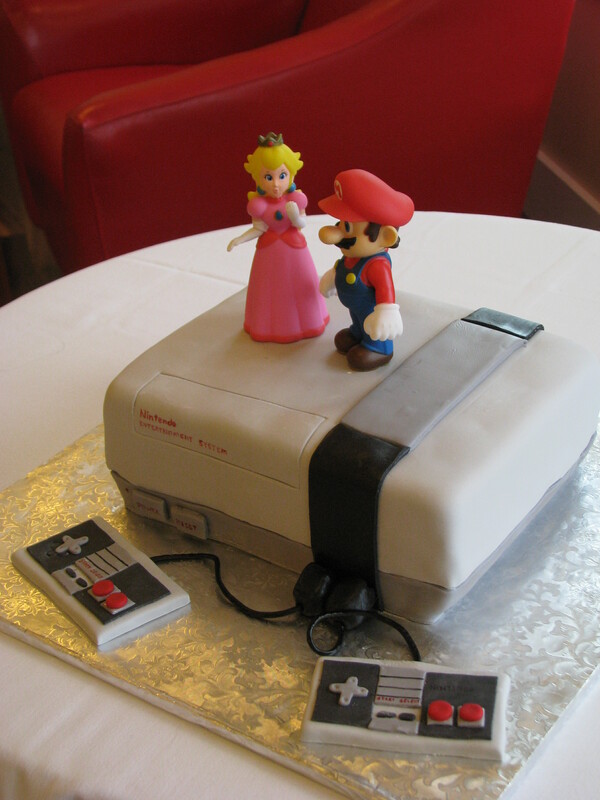 Then a few days later she called with the request of an old school Nintendo Gaming system. My family had one of these bad boys and my brothers were awesome at playing Mario, Paperboy, Zelda. I however was terrible! 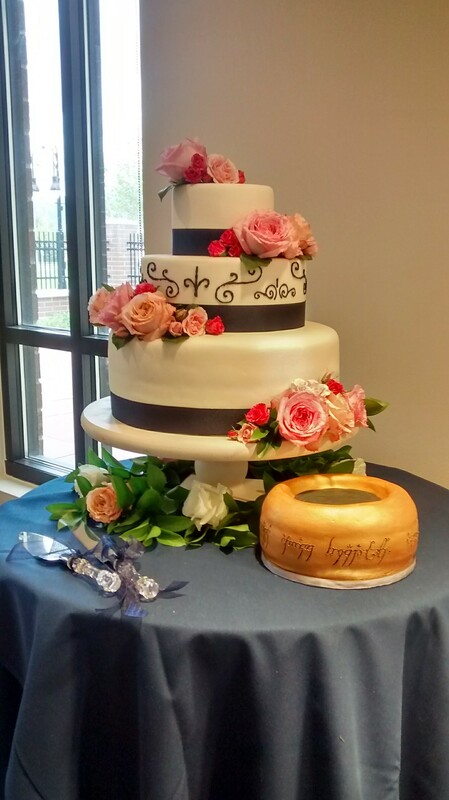 Back to the cakes, the wedding cake was vanilla butter cake with vanilla butter cream on the bottom cake and snickerdoodle cake with vanilla buttercream on top. 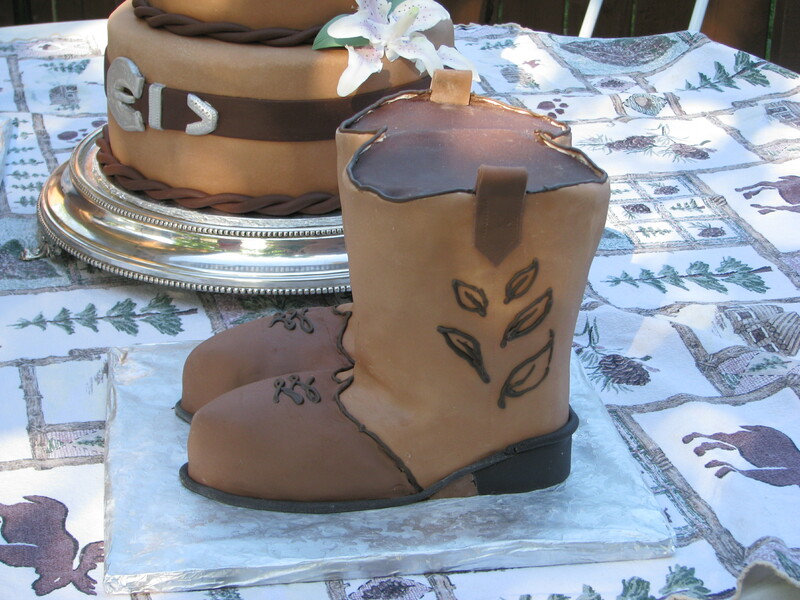 The grooms cake was devils food with vanilla swiss meringue buttercream. 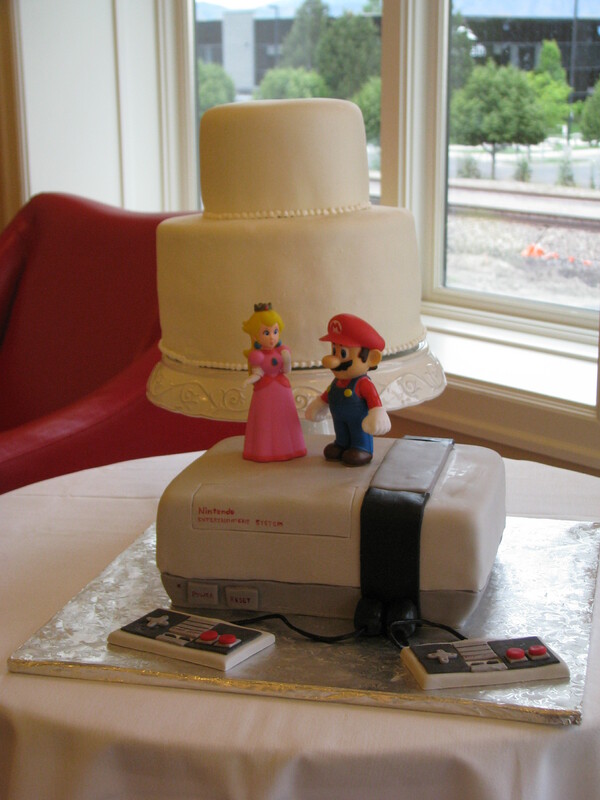 Princess Peach and Mario were provided by the bride and groom. Aren’t they cute? 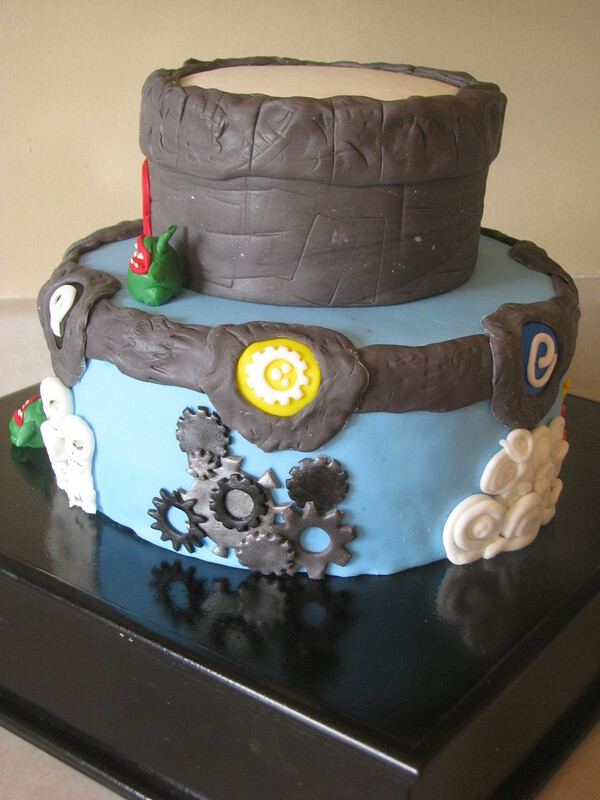 We all scream for ….frozen cake? 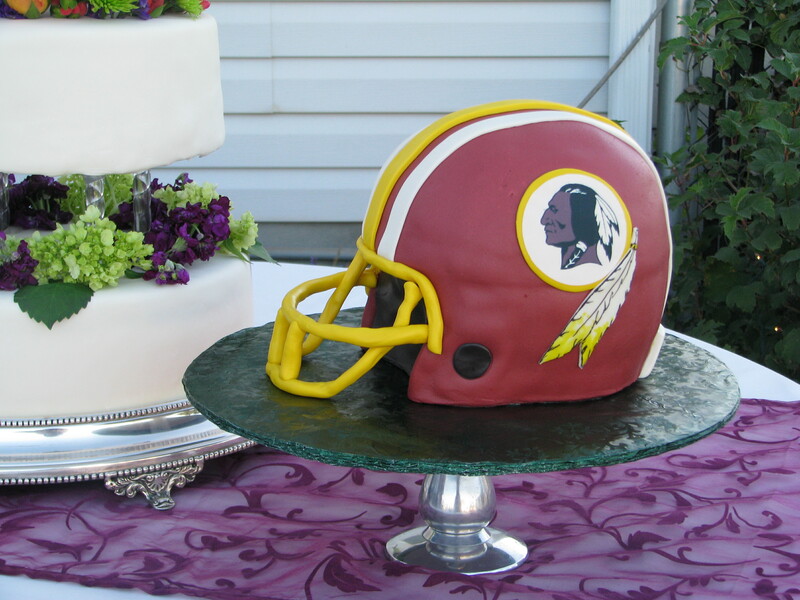 As we all know, it is tradition for a bride and groom to save their cake top until their one year anniversary. Which makes sense, survive what is said to be one of the hardest years of marriage and as a reward you get to eat freezer burned year old cake. 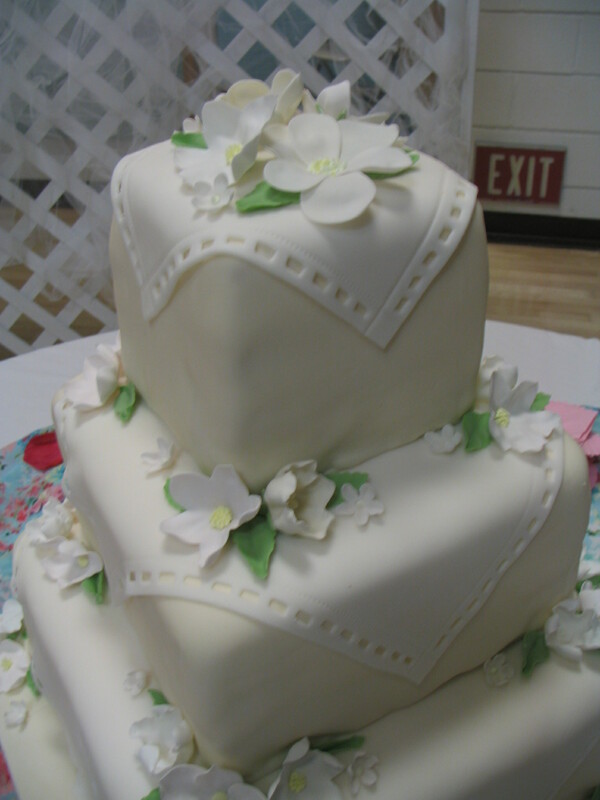 The lovely lady that made my wedding cake didn’t agree and sweetly made Dave and I a fresh little cake for our anniversary. 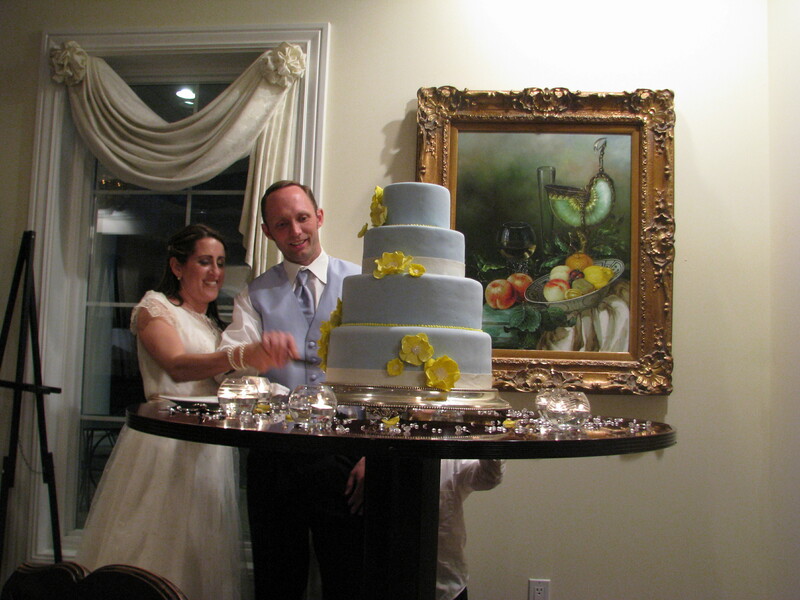 It was delightful and a tradition that I gladly follow for couples who order a wedding cake from me. 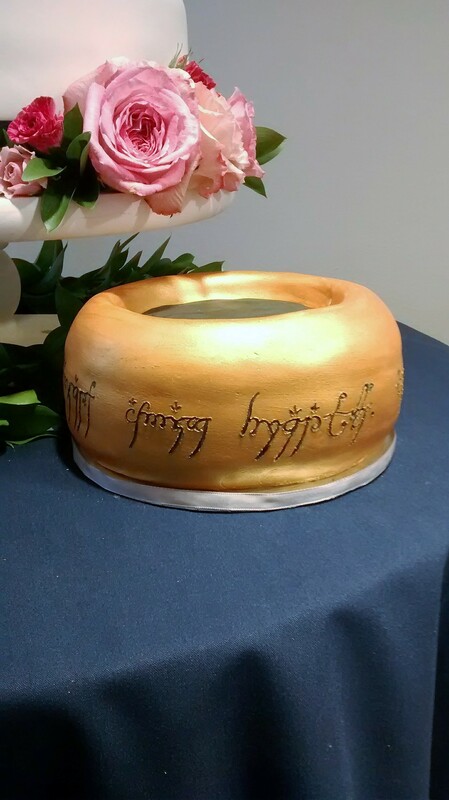 Last year I made this cake and this year they picked up their complimentary first anniversary cake. 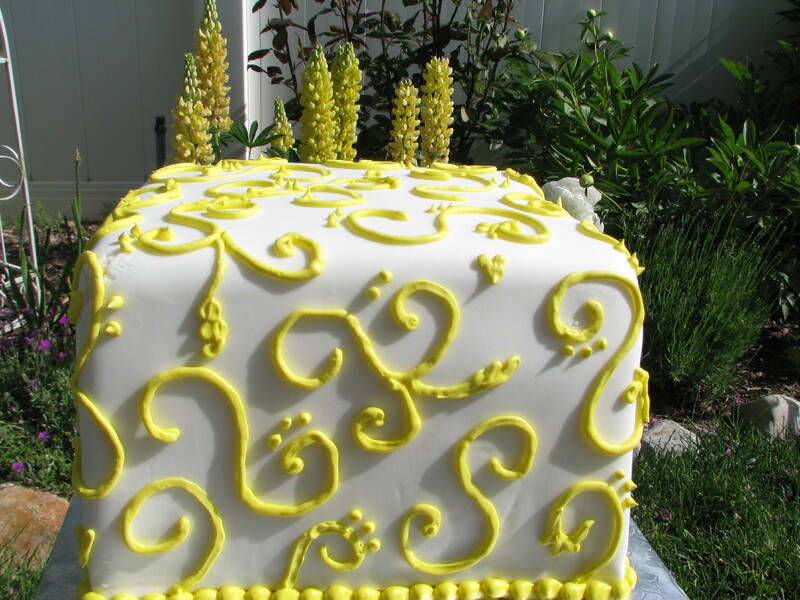 They chose to have it made in our butter vanilla with lemon curd,one of the flavors from their original cake. Happy Anniversary!